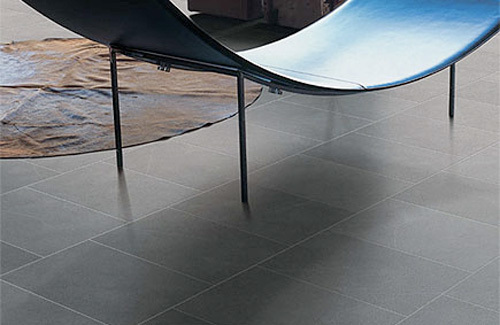 Durable and good looking, what more do you need to know about porcelain floor tiles? Ideal for conservatories, kitchens, bathrooms, hallways, porcelain is a man-made stone that's exceptionally durable and designed for heavy use. It comes in larger sized tiles, which is ideal for creating a contemporary look. Porcelain tiles keep their colour better than ceramic tiles - and it can also be used outside. Unless the porcelain you are buying has its colour throughout the body of the tile, you might have a problem if the tile chips or cracks - because the colour beneath the top layer of the tile will show, and it's unlikely to be the same colour as the top of the tile.